Four LSU faculty members have been named Fellows of the American Association for the Advancement of Science, or AAAS, the world’s largest general scientific society. The four LSU professors are among the 416 AAAS members, who have been elevated to the rank of Fellow because of their efforts toward advancing science applications that are deemed scientifically or socially distinguished. “Congratulations to these four distinguished LSU faculty who are among the top scientific minds in the world. We celebrate their dedication to advancing knowledge in their respective fields as well as their proven commitment to inspiring our students in the classroom every day. This recognition is just another reminder of the breadth, depth and quality of the expertise we house on LSU’s campus, and it’s a privilege to count these outstanding scientists among our faculty,” said LSU President F. King Alexander. Prosanta Chakrabarty, associate professor in the LSU Department of Biological Sciences and the curator of Ichthyology in the LSU Museum of Natural Science, has been elected for his distinguished contributions to evolutionary biology, focusing on the bioluminescent systems and historical biogeography of freshwater fishes, and for effectively communicating science to the public. Anne Grove, the Gregory Cannaday Burns Professor in the LSU Department of Biological Sciences, has been elected for her distinguished contributions in the field of protein-nucleic acid interactions and the mentoring and training of the next generation of scientists. 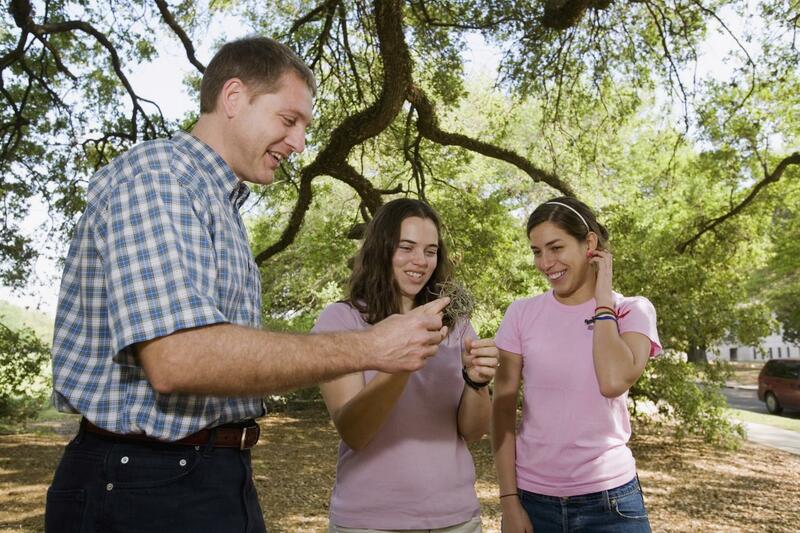 Kyle Edward Harms, professor in the LSU Department of Biological Sciences, has been elected for his distinguished contributions to community- and ecosystem-level biology, focusing on the structure, function and diversity of forests, particularly those in neotropical regions. Wayne D. Newhauser, the Dr. Charles M. Smith Chair of Medical Physics, professor and director of the LSU Medical and Health Physics, has been elected for his distinguished contributions to the field of medical physics, particularly for theoretical modeling and predictions of radiation exposures and outcomes following advanced radiation therapies. “The four newly elected AAAS Fellows from the LSU College of Science are exemplary scientists, scholars and educators. We are so proud of their accomplishments and are honored to have them as colleagues at LSU,” said LSU College of Science Dean Cynthia Peterson. The four new Fellows from LSU will be presented with an official certificate and a gold and blue rosette pin on Saturday, Feb. 16, at the AAAS Fellows Forum during the 2019 AAAS Annual Meeting in Washington, D.C.
AAAS members can be considered for the rank of Fellow if nominated by the steering groups of the association’s 24 sections, or by any three Fellows who are current AAAS members so long as two of the three sponsors are not affiliated with the nominee’s institution, or by the AAAS chief executive officer. Fellows must have been continuous members of AAAS for four years by the end of the calendar year in which they are elected. AAAS Fellow’s lifetime honor comes with an expectation that recipients maintain the highest standards of professional ethics and scientific integrity. Each steering group reviews the nominations of individuals within its respective section and a final list is forwarded to the AAAS Council, which votes on the aggregate list. The council is the policymaking body of the association, chaired by the AAAS president and consisting of the members of the board of directors, the retiring section chairs, delegates from each electorate and each regional division, and two delegates from the National Association of Academies of Science. The tradition of AAAS Fellows began in 1874. AAAS is the world’s largest general scientific society and publisher of the journal, Science as well as Science Translational Medicine, Science Signaling, a digital, open-access journal, Science Advances, Science Immunology and Science Robotics. AAAS was founded in 1848 and includes nearly 250 affiliated societies and academies of science, serving 10 million individuals. Science has the largest paid circulation of any peer-reviewed general science journal in the world. The non-profit AAAS is open to all and fulfills its mission to “advance science and serve society” through initiatives in science policy, international programs, science education, public engagement and more.